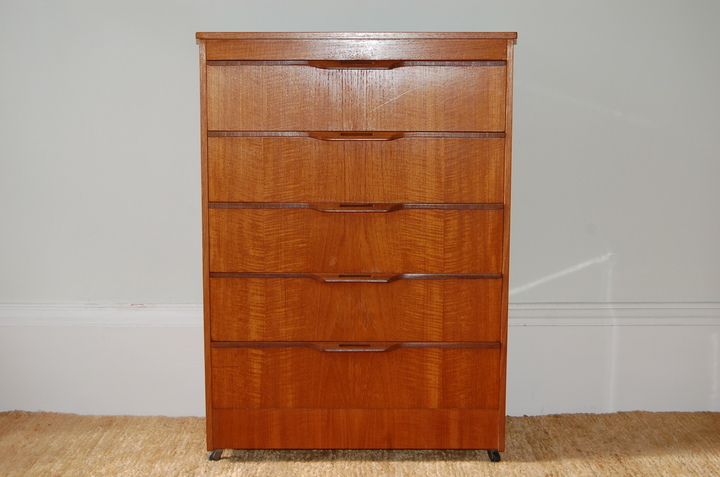 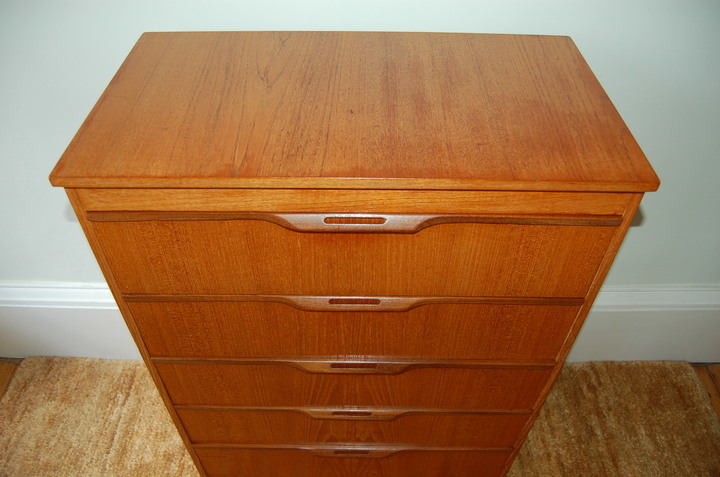 Chest of five drawers on castors possibly by J S Sakol, a Glasgow based furniture maker. 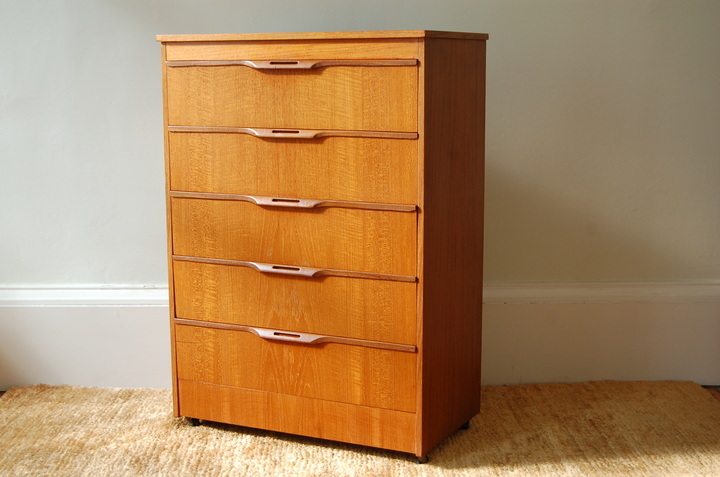 Very neat size and beautiful teak grain (veneer to drawer fronts) with attractive handles in contrast hardwood. 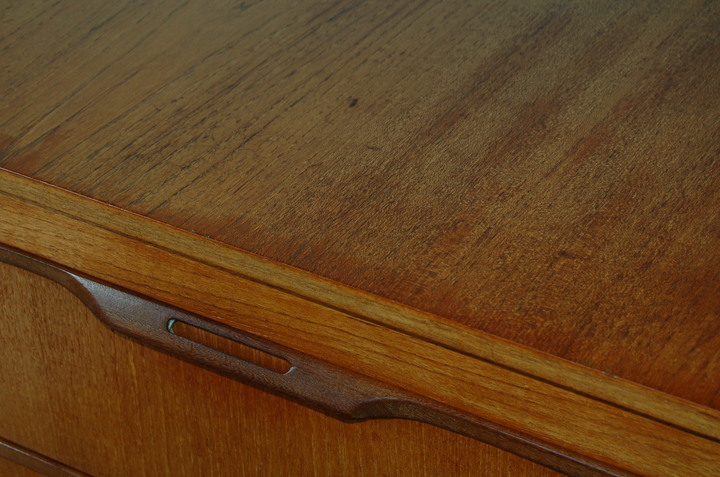 Some minor marks to top commensurate with age.